Aaron Robinson is the Chief Executive Officer of Robinson Publishing Incorporation, which produced the national magazine title Consciousness Magazine, as he has the creative role as Editor/Publisher; nonetheless, also the founder of this inspirational and urban entertainment publication. He is the author of the not yet released autobiography Not Going Unnoticed and Art director of Allezom International Magazine and graphic designer for Booker T’s Reality of Wrestling (ROW). 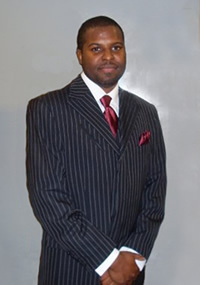 Mr. Robinson attended Columbia College Chicago, holding a Bachelor’s degree in Arts and Science (Computer Graphic Design) and an Associate’s degree in Fine Arts. He has 11 years of experience as a magazine publisher and over 10 years of experience as a professional graphic designer, where he designs local and national projects. With a background in Fine Arts and Graphic Design, Mr. Robinson integrates his belief, spirituality, and the betterment of mankind through his art. He has a passion to give and inspire others though his art ministry, whether writing, designing, painting, drawing, recording music, performing arts or being active in the literary world. He is very active in the community. He sits on the Board of Directors for Still I Rise Organization. Mr. Robinson has been published in numerous publications and has also been featured on many local television shows. He has been selected to enter numerous art galleries and talent events, winning and earning numerous certificates and awards. Mr. Robinson has been a guest speaker at colleges, universities and high schools. He has found it very fascinating to have years of experience as a substitute teacher and event coordinator. His goal is to continue to empower the youth as well as act as a role model for our young generation. As a businessman, he continues to collaborate on various business ventures, striving to be diverse as an entrepreneur, making a substantial contribution to the art world as an innovator and philanthropist. Established in 1985. Over thirty years of successfully designing, protecting and selling products to the medical field; and 40 years of providing services to the general public. A desire to control his own destiny led entrepreneur and visionary Dumas Martin, Jr. to design his first invention 'The 3'N ONE' Game Pad in 1984. Its success inspired him to continue creating products that were not only fun but also filled needs, i.e. the PostuREST Leg Rest for the medical field.